Dr. Harvey J. Irwin is a well-known cognitive psychologist from Australia who has made many contributions to parapsychology. I first had contact with him via correspondence during the 1980s and met him in person in Edinburgh, when he paid a short visit to the University of Edinburgh in 1995. Harvey started in parapsychology publishing about ideas from cognitive psychology in relation to ESP, and to a lesser extent, psychokinesis. This is evident in his book Psi and the Mind (1979). He was a pioneer in the psychological study of out-of-body experiences, work that influenced me in many ways, and an important contributor to the study of belief in the paranormal. 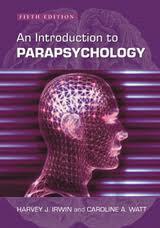 In addition he has authored a widely used textbook of parapsychology, Introduction to Parapsychology, which, now in its fifth edition, is co-authored by Caroline Watt . 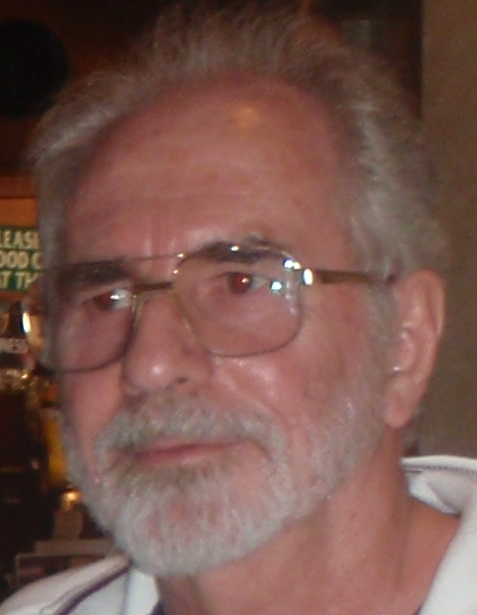 In recognition of his work the Parapsychological Association granted Harvey an Outstanding Contribution Award in 2002. Many people have asked me this question lately; well, one or two anyway. Perhaps the recent advent of my seventieth birthday makes this question seem more pressing to other folk. Nevertheless, I have no wish to become a serial autobiographer, and given that it is difficult to remain creative in writing successive versions of an autobiography, this article necessarily will crib from previously published versions. In particular, some sections of this account are drawn from the interview published in Mindfield (Irwin, 2012) and have been adapted with permission. Many parapsychologists owe their initial interest in the field to some personal spontaneous parapsychological experiences that they have found particularly thought provoking. This was not the principal impetus for my professional involvement in parapsychology. Certainly I have had the occasional anomalous experience to tweak my curiosity, but in retrospect my impression is that most of these evoked close scrutiny only after I became a parapsychologist. In any event the major stimulus for my initial parapsychological interests was of a purely intellectual nature. This came about through the conjunction of two circumstances in the mid-1970s. At this time the cultural zeitgeist was marked by a heightened popular interest in states of consciousness, transpersonal philosophies and mystical phenomena. Some of these popularist trends began to intrude even into the staid realms of Australian academia. I was then a doctoral student in the Psychology Department of the University of New England in Australia and was constructing an information-processing model of basic mental processes in general and selective attention more specifically. Having formed an elementary understanding of “how the mind worked” it occurred to me that I could explore the extent to which paranormal phenomena might be accommodated by such a model. This initially casual curiosity sparked my first book, Psi and the Mind, and was the basis of an achievement award from the American Society for Psychical Research which certainly encouraged my continued involvement in the field. The other factor of relevance at the time was that in the same department in which I was working one of my colleagues, Dr Maurice Marsh, was teaching clinical psychology but had conducted an experimental investigation of ESP as part of his own doctoral program at Rhodes University in South Africa. Although Maurice’s parapsychological interests were strongly embedded in a Jungian outlook his presence on staff probably fostered at least my tacit presumption that a reasonably circumspect professional involvement in parapsychology might not be utterly ruinous to my future career. My subsequent parapsychological contributions might seem to the outsider as alarmingly capricious in the sense that I regularly sprang from one topic to another. Thus my attention was devoted intermittently to out-of-body experiences (OBEs), near-death experiences (NDEs), lucid dreams, the phenomenology of psi experiences, the history of Australian parapsychology, education in parapsychology, and the psychology of paranormal belief, although at least the last of these became a relatively enduring concern. Arising from my research on these topics were two further books, Flight of Mind: A Psychological Study of the Out-of-Body Experience, and The Psychology of Paranormal Belief: A Researcher’s Handbook, both of which were well received. In part the progression of parapsychological research topics reflected my evolving interests in mainstream psychology, particularly the psychology of dying and bereavement, psychopathology and the nature of dissociative phenomena, and the influence of childhood trauma on psychological development. This point raises a key feature of my professional career, namely, that while engaged in my parapsychological work I maintained an output of publications on mainstream psychological issues. I am not necessarily commending this approach to others as the only viable career option, but certainly during the thirty years for which I worked at the University of New England this proved to be a judicious tactic in regard to professional advancement. It was only in the last few years before my formal retirement that I abandoned the pursuit of further advancement and indulged myself more exclusively in parapsychological research. Teaching was the other major facet of my involvement in parapsychology. During my career I had the rewarding experience of supervising several graduate research degrees on parapsychological topics. In addition, for some years in the 1980s I had the opportunity to teach an undergraduate course in parapsychology. In mounting this program it soon became apparent that there were few basic introductory books that could effectively serve as a textbook. My text, An Introduction to Parapsychology, was written as a direct response to this identified need. Designed particularly with the training of future academic parapsychologists in mind, the book is now in its fifth edition and at last count has sold over 13,000 copies. The extensive international adoption of this text has been very gratifying. In addition, my educational experiences in the field have been the inspiration for my most recent monograph, Education in Parapsychology: Student and Instructor Perspectives. As far as my “achievements” in parapsychology are concerned, these are best left to my colleagues to nominate. Two testimonials that I found particularly edifying were the following. First, in 2002 the Parapsychological Association awarded me its Outstanding Research Contribution Award in recognition of my empirical and theoretical work in parapsychology. More recently, the opening dedication in Advances in Parapsychological Research, Volume 9 (Krippner, Rock, Beischel, Friedman, & Fracasso, 2013) reads as follows: “To Harvey J. Irwin, intrepid explorer of anomalous phenomena and author of many of the classical works in parapsychology”. Not that I have ever felt much like an “intrepid explorer”; perhaps I should purchase a pith helmet in an effort to look the part. Given that I have been active in this field for over three decades it need hardly be said that parapsychology is personally important. Although progress in the field as a whole has in some respects been disappointing I have thoroughly enjoyed the adventure and have met many interesting people along the way. Speaking more generally, it seems to me that the importance of parapsychology has changed over the years. When parapsychology was first established as a scientific enterprise most of its adherents were mindful of the relevance of parapsychological phenomena to the survival hypothesis, and much of the associated research effort directly or indirectly addressed the possibility that some element of human existence might survive bodily death. This emphasis continued for several decades until the Rhinean revolution, when the American Society for Psychical Research suffered a critical schism between members who saw survivalist issues and spiritualist mediumship as pivotal to the field and others who stressed the importance of experimental investigation of purported parapsychological abilities such as extrasensory perception. The latter approach of course is the core of contemporary parapsychology’s claim to be a legitimate scientific discipline. On the other hand a rather more subtle conceptual revolution also has occurred, stemming largely from the work of Louisa Rhine which promoted the merits of studying parapsychological experiences from a phenomenological perspective, and today such experiences as out-of-body experience, near-death experiences, and apparitional experiences are of interest more in their own right than for their possible implications for the survival hypothesis. Although proof-oriented research in the parapsychological laboratory continues to yield interesting data I believe the primary importance of contemporary parapsychology lies in the elucidation of the psychological characteristics and bases of anomalous human experiences. Indeed, it is likely that this perspective will become increasingly dominant as more social scientists abandon their obsession with null hypothesis testing as the statistical path to “scientific truth”. I therefore see parapsychology as an intrinsic facet of a truly comprehensive discipline of psychology. In identifying the importance of parapsychology in terms of its focus on anomalous experiences I am nevertheless aware that this interpretation could well signal the death knell for parapsychology. I will address this proposition in responding to your next question. In recent years the discipline of anomalistic psychology has advocated the advantages of studying the psychological characteristics of anomalous experiences in their own right, that is, free from the parapsychologist’s tacit agenda of proving the existence of “miracles” or processes that contravene conventional scientific principles. Indeed, some former parapsychologists are now portraying themselves as anomalistic psychologists. Time will tell if parapsychology as an academic discipline will fade into obscurity as a result of inroads being made by anomalistic psychology. In my recent survey of members of the Parapsychological Association (PA) I found that few parapsychologists give any credence to this possibility, but I see such a prospect as not only feasible but in some respects perhaps desirable. Thus, many of the problems perceived to face contemporary parapsychology (as also revealed by my PA survey) might well be mitigated through the absorption of the discipline into anomalistic psychology. These problems include the implacable attitudes of our opponents, lack of adequate funding, the poor public image of parapsychologists, and the dearth of academic career opportunities. So, too, the problems of poor replicability of psi experiments and the lack of an accepted theoretical framework might be minimized if we focused on phenomenological issues and gave less emphasis to the pursuit of proof of paranormal processes. This is not to portray psi experiments as invalid but rather to argue that this line of research may have yielded most of what it can and may no longer justify our exposure to the professional damage that flows from critics’ attacks on this work. One of the delightful advantages of an academic career is that one’s research interests can be pursued even after formal retirement from a university post. Despite the economic constraints of being a superannuant I feel freer than ever before to pursue the research issues that particularly fascinate me. Most of my current work concerns the manner in which people come to embrace beliefs in paranormal phenomena. On the one hand there are some people such as many professional parapsychologists and even a few skeptics who undertake a critical reading of the relevant experimental literature and purportedly reach a considered position on paranormal phenomena essentially on these rational grounds. Be this as it may, the typical member of the general public, on the other hand, is much more likely to be attracted to paranormal beliefs because of the emotional appeal of these beliefs. In this sense paranormal beliefs in the general population may have the same psychological bases as delusions. This is not to imply that paranormal beliefs are intrinsically false; apart from anything else, the definition of delusions as “false beliefs” is no longer viable and has been abandoned in the latest version of the DSM (American Psychiatric Association, 2013). 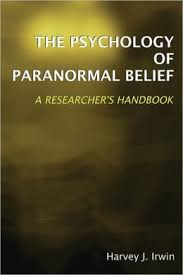 Parallels between the formation of paranormal beliefs and that of (nonpsychotic) delusions nevertheless are serving to clarify the psychological origins and functions of paranormal beliefs among the general public, and much of my current research program is engaged with these issues (see also Irwin, Dagnall, & Drinkwater, 2012). Irwin, H. J. (1979). Psi and the mind: An information processing approach. Metuchen, N.J.: Scarecrow Press. Irwin, H. J. (1985). 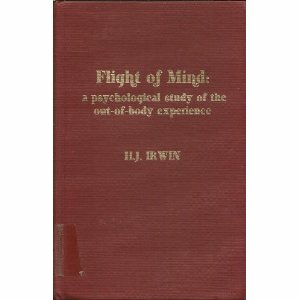 Flight of mind: A psychological study of the out-of-body experience. Metuchen, N.J.: Scarecrow Press. Irwin, H. J. (1989). An introduction to parapsychology. Jefferson, N.C.: McFarland. Irwin, H. J. (2009). The psychology of paranormal belief: A researcher’s handbook. Hatfield, UK: University of Hertfordshire Press. Irwin, H. J. (2012). Reflections: Harvey J. Irwin, University of New England. Mindfield, 4(2), 46-48. Irwin, H. J. (2013). 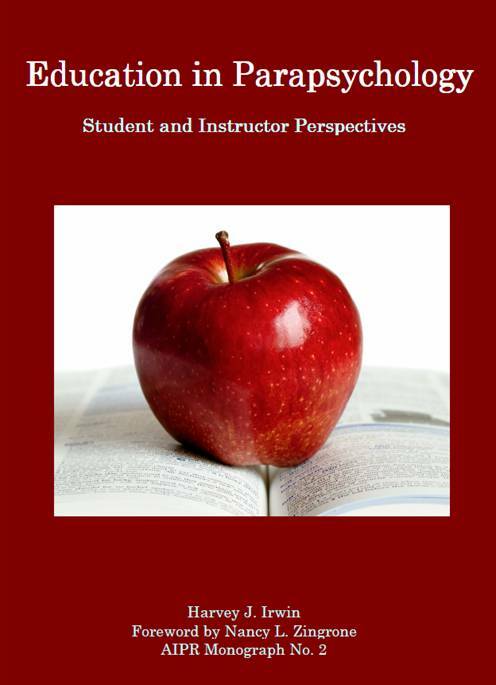 Education in parapsychology: Student and instructor perspectives (AIPR Monograph No. 2). Sydney: Australian Institute of Parapsychological Research. Irwin, H. J., Dagnall, N., & Drinkwater, K. (2012). Paranormal beliefs and cognitive processes underlying the formation of delusions. Australian Journal of Parapsychology, 12, 107-126. Krippner, S., Rock, A. J., Beischel, J., Friedman, H. L., & Fracasso, C. L. (Eds.) (2013). Advances in Parapsychological Research, Volume 9. Jefferson, NC: McFarland. Irwin, H.J., Dagnell, N., & Drinkwater, K. (2013). Parapsychological experience as anomalous experience plus paranormal attribution: A questionnaire based on a new approach to measurement. Journal of Parapsychology, 77, 39-53. Irwin, H. J. & Watt C. (2007). An Introduction to Parapsychology (5th ed.). Jefferson, N.C. : McFarland. Irwin, H.J. (2002). Proneness to self-deception and the two-factor model of paranormal belief. Journal of the Society for Psychical Research, 66, 80-87. Irwin, H.J., & Young, J.M. (2002). Intuitive versus reflective processes in the formation of paranormal beliefs. European Journal of Parapsychology, 17, 45-54. Irwin, H.J. (2000). The disembodied self: An empirical study of dissociation and the out-of-body experience. Journal of Parapsychology, 64, 261-277. Irwin, H.J. (1997). An empirically-derived typology of paranormal believers. European Journal of Parapsychology, 13, 1-14. Irwin, H.J. (1996). Childhood antecedents of out-of-body and déjà vu experiences. Journal of the American Society for Psychical Research, 90, 157-173. Irwin, H.J. (1994). Childhood trauma and the origins of paranormal belief: A constructive replication. Psychological Reports, 74, 107-111. Irwin, H.J. (1993). The near-death experience as a dissociative phenomenon: An empirical assessment. Journal of Near-Death Experiences, 12, 95-103. Irwin, H.J. (1993). Belief in the paranormal: A review of the empirical literature. Journal of the American Society for Psychical Research, 87, 1-39. Irwin, H.J. (1992). Origins and functions of paranormal belief: The role of childhood trauma and interpersonal control. Journal of the American Society for Psychical Research, 86, 199-208. Irwin, H.J. (1991). The presentation of parapsychology in psychology texts. Australian Parapsychological Review, 18, 21-23. Irwin, H.J. (1989). Hypnotic induction of the out-of-body experience. Australian Journal of Clinical Hypnotherapy and Hypnosis, 10, 1-7. Irwin, H.J. (1989). Extrasensory experiences and the need for absorption. Parapsychology Review, 20(6), 9-10. Irwin, H.J. (1988). Parapsychology in Australia. Journal of the American Society for Psychical Research, 82, 319-338. Irwin, H.J. (1988). Out-of-body experiences and attitudes to life and death. Journal of the American Society for Psychical Research, 82, 237-251. Irwin, H.J., & Bramwell, B.A. (1988). The devil in heaven: A near-death experience with both positive and negative facets. Journal of Near-Death Studies, 7, 38-43. Irwin, H.J. (1987). Out-of-body experiences in the blind. Journal of Near-Death Studies, 6, 53-60. Irwin, H.J. (1986). Perceptual perspective of visual imagery in OBEs, dreams and reminiscence. Journal of the Society for Psychical Research, 53, 210-217. Irwin, H.J. (1985). The link between the out-of-body experience and proneness to lucid dreams: A meta-analysis. Psi Research, 4(2), 24-31. Irwin, H.J. (1985). Parapsychological phenomena and the absorption domain. Journal of the American Society for Psychical Research, 79, 1-11. Irwin, H.J. (1983). The association between out-of-body experiences and migraine. Psi Research, 2(2), 89-96. Cook, A.M., & Irwin, H.J. (1983). Visuospatial skills and the out-of-body experience. Journal of Parapsychology, 47, 23-35. Irwin, H.J. (1981). The psychological function of out-of-body experiences: So who needs the out-of-body experience? Journal of Nervous and Mental Disease, 169, 244-248. Smith, P., & Irwin, H.J. (1981). Out-of-body experiences, needs, and the experimental approach: A laboratory study. Parapsychology Review, 12(3), 1-4. Irwin, H.J. (1980). PK and memory: An information-processing model of psychokinetic effects. Journal of the American Society for Psychical Research, 74, 381-394. Irwin, H.J. (1980). Out of the body Down Under: Some cognitive characteristics of Australian students reporting OOBEs. Journal of the Society for Psychical Research, 50, 448-459. Irwin, H.J. (1979). On directional inconsistency in the correlation between ESP and memory. Journal of Parapsychology, 43, 31-39. Irwin, H.J. (1979). Coding preferences and the form of spontaneous extrasensory experiences. Journal of Parapsychology, 43, 205-220. Irwin, H.J. (1978). Psi, attention, and processing capacity. Journal of the American Society for Psychical Research, 72, 301-313. Irwin, H.J. (1978). ESP and the human information processing system. Journal of the American Society for Psychical Research, 72, 111-126.